Joel found himself born with extreme shyness and thought that was him. Being too shy to speak up in school to make friends or to overthink everything, it took him ages to realise that shyness was separate from him with its own identity. He went through a long journey within to find his proper place and purpose. After his transformation, he is still able to reflect on all stages which enables him to help other introverts break up with shyness and discover their quiet confidence. Famous is his attempt to start a meetup group following his inner purpose of helping like minding people - but nobody of the registered audience came being too shy to show up. 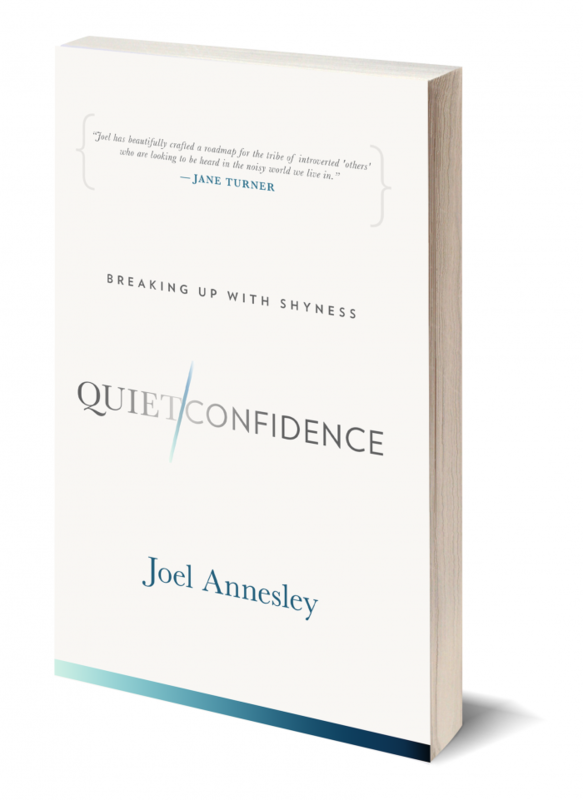 “Quiet Confidence” describes Joel’s transformation which resonates well with born introverts like me and helps to reflect the own history. He starts with naming and labelling his shyness throughout his youth. He used the form of a traditional hero’s journey like in classic literature including steps like the calling, finding allies, a storm and seeing new sight before returning home. Here we can see the influence by his writing coach, Jane Turner, an advocate of the hero’s journey, especially when there is a lot at stake. Jane has been an introvert as well and wished to have this book in her teenage years. In my view this book offers plenty of learning possibilities even for those who are not that shy as Joel has been. Extroverts can take a lot out of it as well, surely they have introverts or shy people in their environment. Those with great inner difficulties will be surprised about his success story elements which they can apply in their own practice. This book is special in its surprising readiness to show an open heart and inner mindset of a former shy person. He went through his own personal transformation, but writing this book helped him to discover an unexpected clarity of mind and vision during the process. Apparently he found his voice in the written word. Having met Joel twice at a workshop and during his book launch, I am impressed how he managed to speak in front of an audience of strangers with his quiet confidence touching the hearts of the participants. Through and beyond his book, he teaches us that change is possible into an open balance. Future business book writers find a lot of inspiration for their own writing journey. 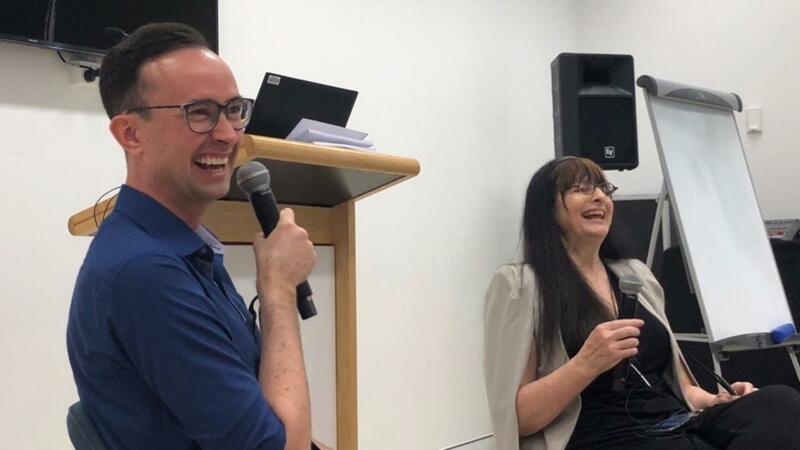 Joel organised the book around his own journey with a clear description of his inner world in earlier years up to practical ways how to overcome those challenges and to find confidence within himself. Each chapter comes with a useful summary and a couple of points of reflections throughout the book. Concrete activities and an audio companion at some stages contribute to an enriched experience for sustainable change. The transition approach is even visible on the cover with two chosen fonts in “Quiet Confidence”, have a look. Joel offers his readers to be their personal coach through the lecture of a partially bumpy while rewarding trip. I had always had the desire to write—not only to share my story, but also to create something that would help others discover their own. My challenge: getting beyond the self-belief that I was not a writer. The moment that all changed was when I met my coach and mentor, Jane Turner. It was Jane’s story that inspired me, that challenged me to embark on the writing journey. Just over two years. What started as just an idea, transformed into a book and a community of like-minded, called ‘The Quietly Confident’. The greatest gift was clarity. I not only found my ideal client, but also discovered a powerful mission—to help 100,000 introverts breakup with shyness and discover their own quiet confidence. At the beginning, I pondered to myself how I would be able to write Quiet Confidence without simply quoting facts from other books of a similar nature. I soon realised that all the content I ever needed lived within. Quiet Confidence is not a text book, it’s an organic journey filled with excerpts from my own experience and insights as a life coach. Doing anything new for the first time certainly brings up plenty of self-doubt. I often questioned my ability to write a book—I wasn’t an established writer, and I never excelled at writing during my schooling years. In the end, it didn’t matter. 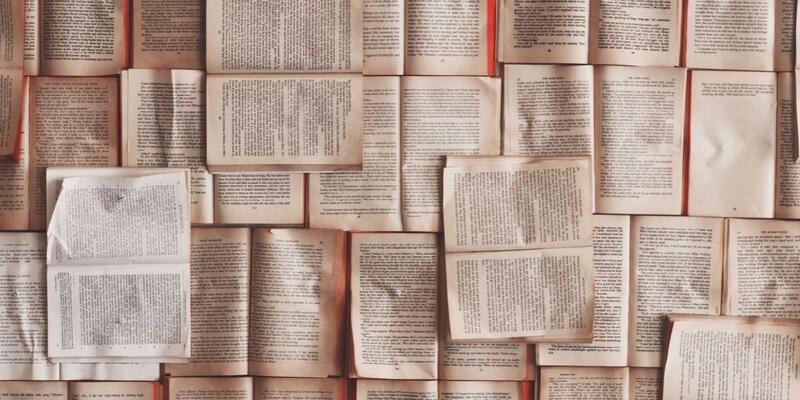 Having a mentor, an editor and proof-reader along the way gives you the confidence to transform a messy draft into something that you’re proud to call your own. Today I’m happy to embrace the title of ‘author’ and wear it with pride. When you’re on the writing journey, you focus on the end goal. When you get to the goal, you realise that you miss the journey. Treasure every moment of the writing process, because you’ll look back and realise these moments of clarity and insight will become pivotal moments in your life. Having a published book like Quiet Confidence is the best business card one can ask for. My words are quoted and shared on social media without my doing. The book speaks to my ideal clients and creates a sense of connectedness even before the coaching relationship begins. Don’t write your book to be a best seller, because the inner perfectionist will never be satisfied, and you’ll want to give up before you get to the finish line. Write it for one person, even if that one person is you.